According to latest rumors, Sony will officially released the firmware version 3.0 for a7R III (Amazon/Adorama/B&H Photo Video) and a7 III (Amazon/B&H Photo/Adorama) on April 11. The new firmware version 3.0 will include the Real-time Eye AF in AF-C mode. Real-Time Eye AF for animals will be included. The a7R III and the a7 III will also receive interval recording functionality (like the new a6400). Sony’s popular α7R III and α7 III full-frame cameras will both receive enhanced Real-time Eye AF performance with the upcoming firmware version 3.0. This will be available in AF-C mode with a simple half-press of the shutter button. Real-Time Eye AF for animals (i) will also be available. The cameras will also receive interval recording functionality that will allow for simple creation of time-lapse movies (vii). The new feature can be set for anywhere between 1 and 60 seconds, with a total number of shots from 1 to 9999. AE tracking sensitivity can also be adjusted to “High”, “Mid” or “Low” during interval recording, allowing for reduced changes in exposure over the shooting interval. Previous Previous post: New Sony a7R III Instant Rebate – $400 Off ! 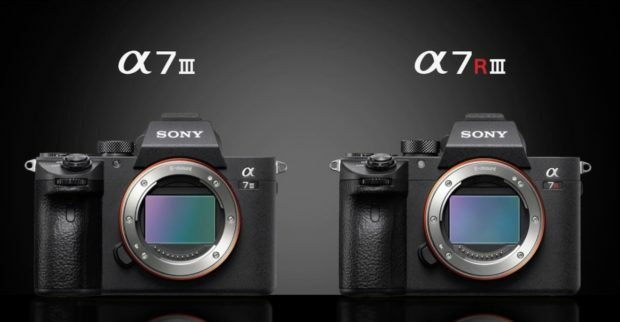 Next Next post: Sony a7 III & a7R III Firmware Version 3.0 now Released !